Any of you getting the goosebumps from the above declaration of my love towards this smoothie? Recently, I find myself buying a bunch of bananas every-time I’m at the supermarket and the reason is this smoothie. I look forward to keeping the bananas in the freezer so that I can have this delicious smoothie every single day. I liked the classic Peanut Butter Smoothie which is PB + Banana + Milk but this almond butter brought the classic to another level. 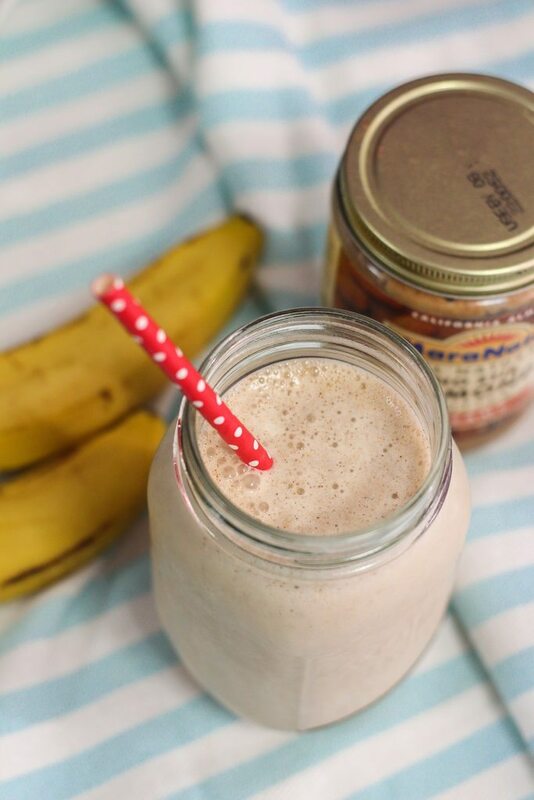 This Almond Butter Banana Smoothie ain’t just delicious but it’s healthy as well. Perfect for breakfast, as a midday snack and good for a post-workout boost too as the almond butter gives a good dose of nutrients to your daily needs. In fact, I feel that whenever you feel like having a dessert yet you want it to be guilt free, that’s when this smoothie makes the perfect sweet treat. Although I used regular milk in this recipe, feel free to use almond milk or any other milk that you prefer. Frozen banana is a must. You would not get the creamy milkshake texture if you do not freeze your banana. I would usually keep bananas in zip lock bags and just leave them in the freezer so that I can make this smoothie whenever the cravings hit on me; which is almost a daily affair. 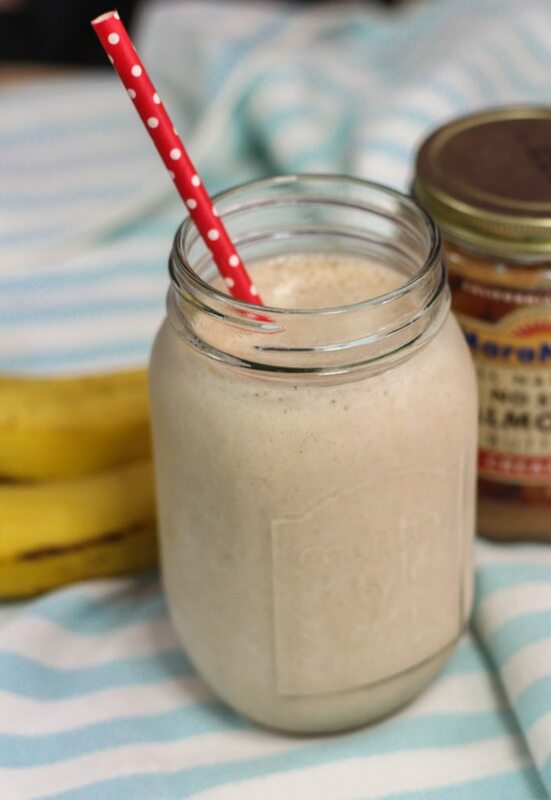 This Almond Butter Banana Smoothie isn't just delicious but it's healthy too. 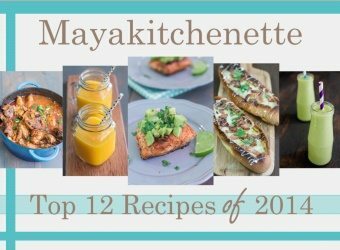 Place everything in a blender and process for about 30 seconds. Pour in a glass and serve immediately.